NY Arts Magazine annual guide to the internet is a special end-of-year issue which plays an essential role in transmitting information about exceptional artists who are taking creativity to a whole new level. 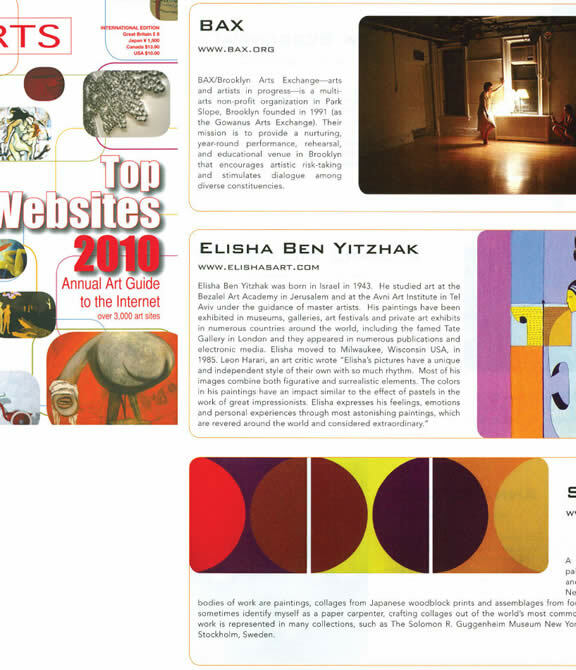 A forward glance to 2010, it features many other components of the art world- including galleries, organizations, collectives, blogs, forums, events, publications, and projects. Featuring every genre and style, from contemporary and classical, to painting and performance, the Annual Guide to the Internet creates a fascinating picture of the dynamic, colorful, often-controversial art scene here and abroad.